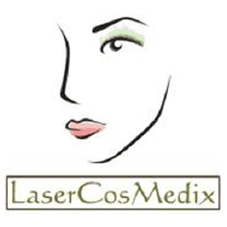 Laurene DiPasquale, MD, has been enhancing natural beauty at her private practice, LaserCosMedix® in Hillsdale, New Jersey, since 2000. She takes a very hands-on approach to care and listens carefully to her patient’s concerns and aesthetic goals, so she can provide the most effective treatment that specifically addresses the patient’s need. Dr. DiPasquale has seen patients come from all over, but predominantly from Hackensack, Paramus, Westwood, and Bergen County. Dr. DiPasquale received her medical degree from Universidad Central Del Este Facultad de Medicina in the Dominican Republic. She is a board-certified internist with a subspecialty in pulmonary medicine and critical care. After spending some time working as an internal medicine physician, Dr. DiPasquale realized she had an interest in nonsurgical cosmetics and received additional training so she could start her cosmetic practice as a certified aesthetic consultant. Dr. DiPasquale also served as an instructor for the nationally recognized American Medical Educators Training, and trained other physicians on the art of Botox® injections and dermal fillers. Dr. DiPasquale is loved by her community and has been listed in Castle and Connolly “Top Doctors in Metro Area” since 1997. Dr. DiPasquale takes great pride in her aesthetic skills and conducts all the procedures herself, so her patients get exceptional care every time with amazing results. "Very professional atmosphere, what I like most is the trust and honesty." 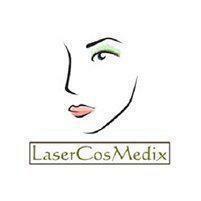 "Dr. DiPasquale is fantastic. She's been doing IPL laser treatments on my face to reduce redness/eliminate blood vessels and the results are fantastic." "The office space is comfortable and welcoming. Easily located, ample parking, no problems at all...I had a truly wonderful experience here..."
"Dr. DiPasquale has performed several laser treatments to my face to remove sun damage and small red areas. The treatments have helped so much!"